OCT 19 UPDATE - WAYNE NEWTON will be joining TONY ORLANDO and Elizabeth Shatner!!! AN EVENT FOR THE AGES! SO RARE!!! Make history, have fun, and honor our Heroes! 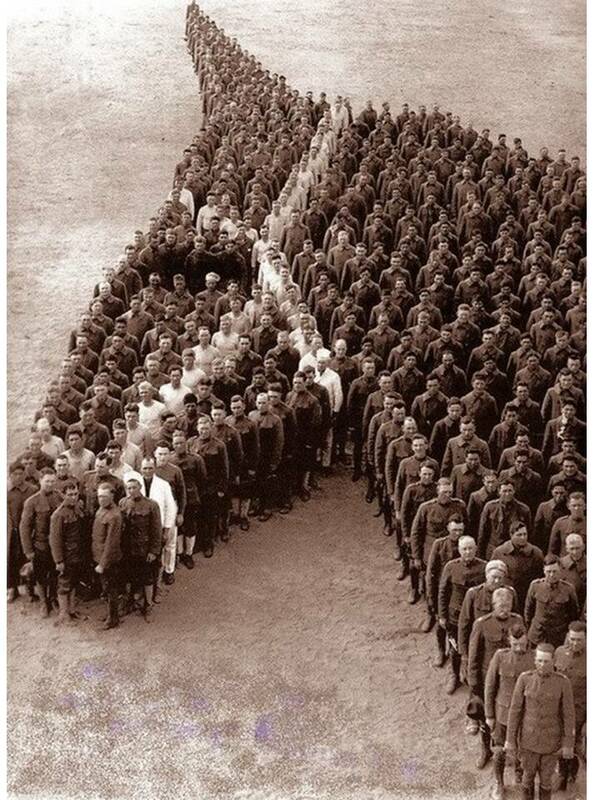 The All Glory Project and Horses4Heroes in Las Vegas are recreating this historic photo taken at Camp Cody, N.M. This 1915 picture includes 650 troops of the cavalry Auxiliary Remount Depot No 326. It showcases the important bond between the American military and the American horse, a bond that dates all the way back to the Revolutionary War. The recreation event is set for Sat., Oct. 20, at 5 p.m. at the South Point Hotel Casino Equestrian Center in Las Vegas. All active duty Army and Air Force, National Guard, reserves, veterans *and their Families! * are welcome to join. More than 500 people are needed to make this happen. Organizers promise to run the photo shoot with Military Precision and not waste your families' time! Please wear long pants and a dark shirt, sweater or jacket. RSVP: Please Email horses4heroes@gmail.com with the number of people in your party who will attend. Include "Operation: Recreate Historic Horse Head" in subject line. Or if the urge moves you, feel free to just show up! Horses4Heroes and The All Glory Project are non-profit organizations that are using horses to enhance the quality of life for our soldiers, veterans, Wounded Warriors and their families in Las Vegas and in cities and communities from coast to coast.